We are pleased to announce that MCUXpresso IDE v10.3.1 (build 2233) is now available. This is a maintenance release that builds upon the previous MCUXpresso IDE v10.3.0 release, and we recommend that all existing users download and install this new version. Please find attached a document detailing various features related to using the iMXRT1060-EVK evaluation board with MCUXpresso IDE v10.3.x and SDK v2.5, including details of how to enable SWO trace on this MCU. Updated to include a section on the MIMXRT1064 EVK. Please find attached a document detailing various features related to using the iMXRT1020-EVK evaluation board with MCUXpresso IDE v10.2.1 and SDK v2.4. We are pleased to announce that MCUXpresso IDE v10.2.1 (build 795) is now available. We are pleased to announce that MCUXpresso IDE v10.2.0 (build 759) is now available. Include paths added on SDK project creation are now created project relative (reducing the size of the -I options passed to gcc), except in the case where "copy sources" is deselected. We are pleased to announce that MCUXpresso IDE v10.1.1 (build 606) is now available. This is a minor update to the MCUXpresso IDE v10.1.0 release, the main changes being to fix a small number of SDK handling related issues. We have updated the attached document detailing various features relating to using the iMXRT1050-EVK(B) evaluation board with MCUXpresso IDE v10.2.1 and SDK v2.4.x. 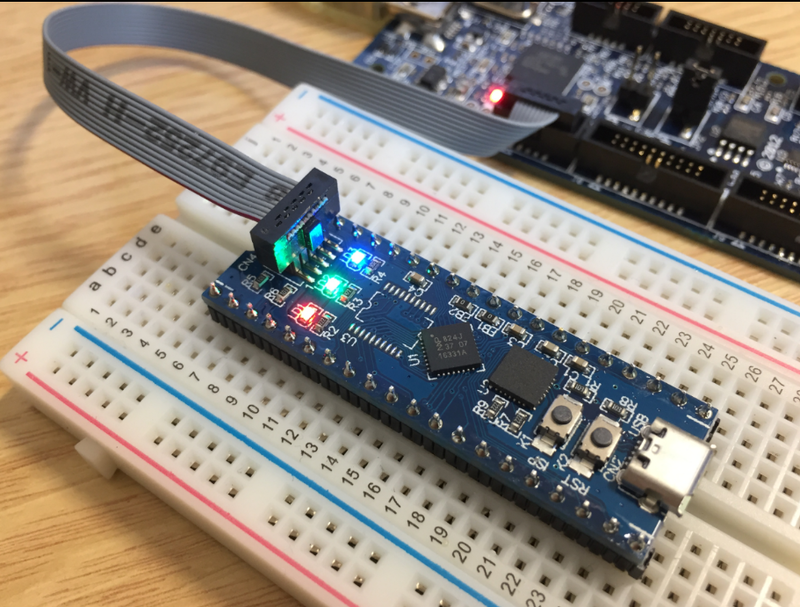 This LinkServer connect script can be used to enable the on-board SDRAM prior to debug operations directly to this memory region. Please see the attached document for more details. this LinkServer connect script may assist users who experience problems obtaining debug control of this board. Again, please see the attached document for more details. We are pleased to announce that MCUXpresso IDE v10.1.0 (build 589) is now available. This incorporates many new features, as well as enhancements based on feedback that we have received since the original MCUXpresso IDE v10.0.0 launch back in March. Enhancements to SDK handling allowing removal of "Reload" part support function, leaving only "Recreate"
Added alternate ("non-enhanced") Peripheral View service for use with LinkServer that works in the same way as the Peripheral View services provided for SEGGER and P&E debug connections. This is disabled (via a preference) by default, as it is largely intended for internal testing purposes. Fixed issue with deleting JTAG/SWD configurations (for LinkServer connections, typically to multicore MCUs) actually deleting the launch configuration files. Various functional enhancements to LinkServer GUI flash programmer. Dialog window also now resizable. MCUXpresso IDE v10.0.2 (build 411) is now available. Sometimes the contents or options specified in the debug launch configurations used by MCUXpresso IDE can change between versions. Thus when moving to a new version of the MCUXpresso IDE, we would recommend deleting any existing debug launch configurations within your project. These files are typically named "<projectname> <debug solution>Debug.launch" and "<projectname> <debug solution>Release.launch". from the context sensitive menu. The IDE will then automatically create a fresh set of launch configurations the next time that you start a debug session. Note: you may need to reapply any modifications you made to your launch configurations in your previous version of MCUXpresso IDE.